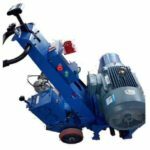 Graco road marking machine is a world famous brand, that many people would like to buy Graco line marking machines for sale. The use of automatic lofting system and digital tracking system has injected fresh blood to marking machine industry. You can check the technical parameters of various models below. 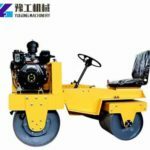 And if there is a suitable model for you, please feel free to click the enquiry button below the picture or specifications to contact us for quotation. The model is perfect for parking lots,road and sealant coating contractors, as well as for schools, parks, recreation area and some other places. 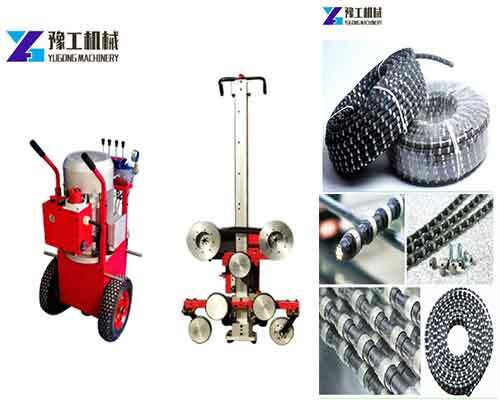 It is also the primary choice for contractors seeking professional performance of single-gun cold paint road marking machine. More natural and comfortable handle design can make the operator’s hands feel comfortable and reduce fatigue. 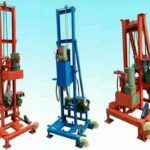 The control device is on the handle which is convenient for operators to control and adjust the marking machine. Electronic pressure control system makes the precision much higher, the error smaller and the marking quality much higher. Easy-roll wheel design makes it easy to paint difficult curves. Tapered latch design allows the machine to operate for long periods of time. 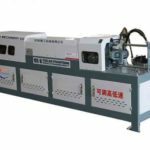 The two models are of double-gun cold paint line marking machine. 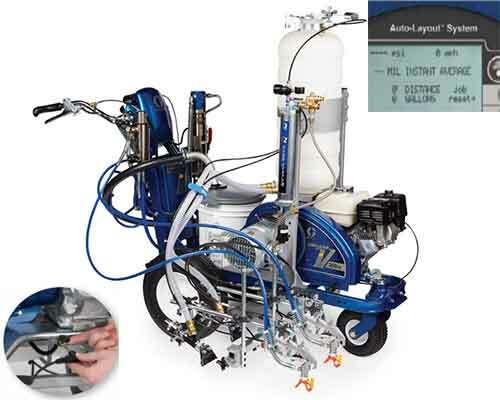 Its unique design can achieve the industry’s most accurate and smooth line marking work. It can be sprayed with the heaviest material, water-based and solvent-based coating, which is ideal choice for medium to heavy duty marking projects. Advantage drive transmission system. Heavy duty clutch can be automatically adjusted and aligned to extend the service life. Hardened gears are durable. 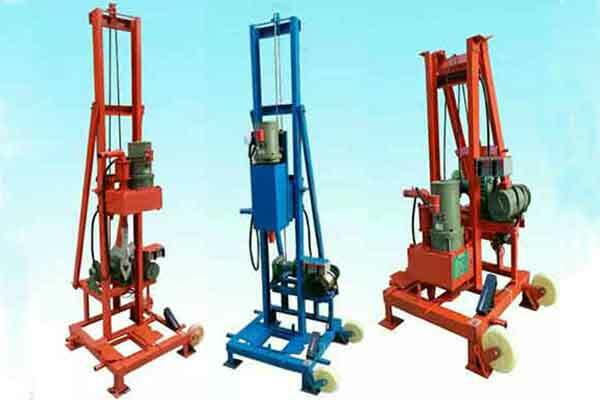 The machine can achieve quiet and efficient operation. 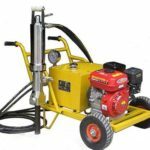 Light weight spray gun fixing device. 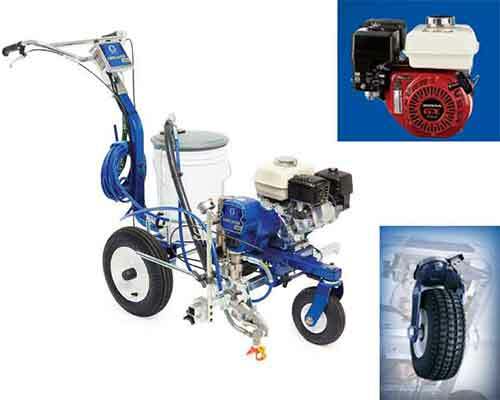 It can minimize the movement of the spray gun caused by uneven ground. Spring rope can prevent the spray gun from closing automatically. Advanced shock absorption system can eliminate engine vibration and improve the marking line quality. Spray gun rear bracket device. 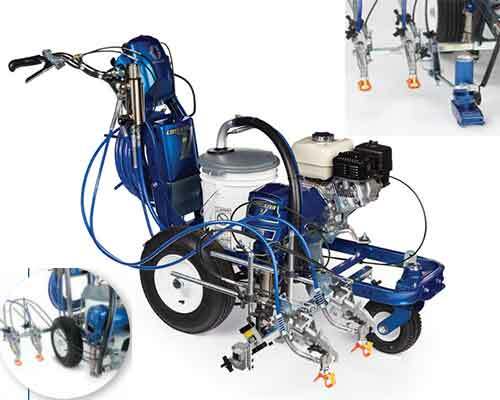 Placing the spray gun close to the rear axle can paint longer straight lines and smoother arcs. 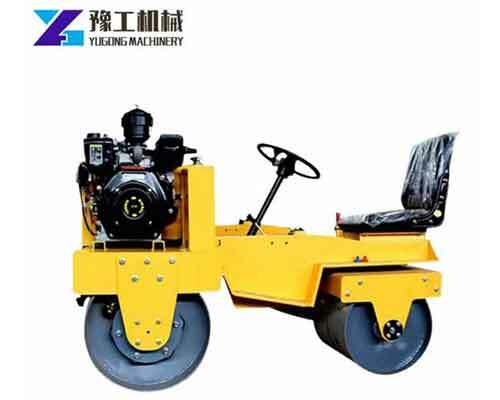 The two types are hydraulic airless road painting machine which can meet your most stringent operating requirements. It can be sprayed with the marking coatings of the heaviest, low VOC, water-based and rubberized pavement and are very suitable for large continuous line marking requirements. You can buy the 130HS first and purchase 200HS with the business grows. Digital tracking system. 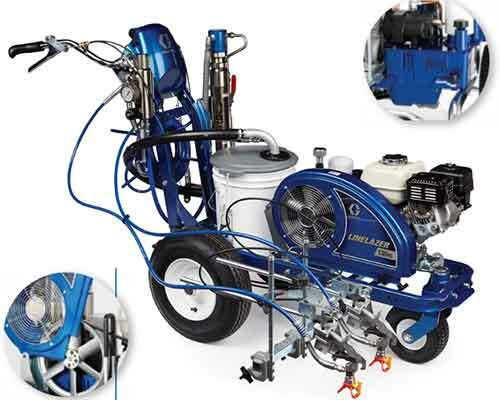 Only the IV200HS model use the system, which can provide stable spray pressure, reduce pulsation and line changes, help operators know about the marking situation. 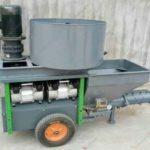 New cooling fan design can increase the air volume and keep the hydraulic pump cool well. High capacity cooling system. The capacity of the hydraulic liquid tank is enlarged and the sustainable cooling system. The improved cooling grid is enclosed under the hydraulic cooling box to increase air flow. Chromex pump rod is four times as hard as ordinary chromium, which has longer service life. 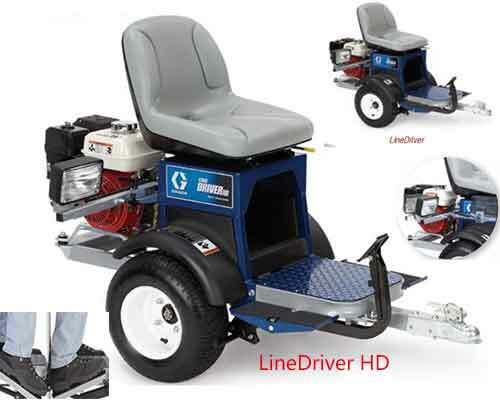 Line driver and line driver HD are innovative and user-friendly ride systems that are specially used to connect the graco linelazer marking machine. The use of this device can double the efficiency of marking line and reduce the labor intensity of the operators ate the same time. 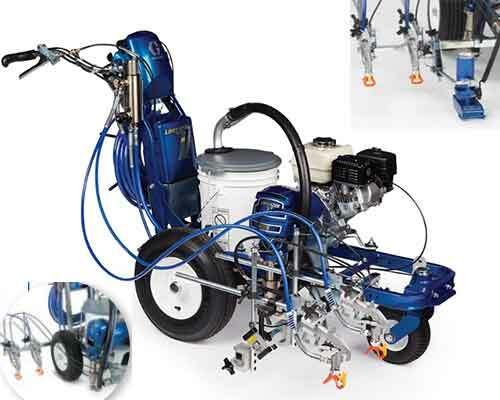 Why You Need to Equipment The Marking Machine with Graco Line Driver? Unique FlexBeam™Break-A-Way lighting system. The break-a-way design can avoid high maintenance costs, realize continuous operation. And it can be adjusted for allkinds of low visibility construction conditions. Double pedal design. Multiple operator positions can reduce fatigue. Special Prostart engine starting system. 50% reduction in traction required for engine start, which can reduce the chance of a pull rod rope breaking. The effect is better than manual traction and electronic starting system when the weather turns cold.